TOKYO - In Japan's never ending quest to create the most unconventional cafes, a shop in the trendy Harajuku district of Tokyo is pushing the boundaries by introducing a trio of small-clawed otters for their pet-loving customers. 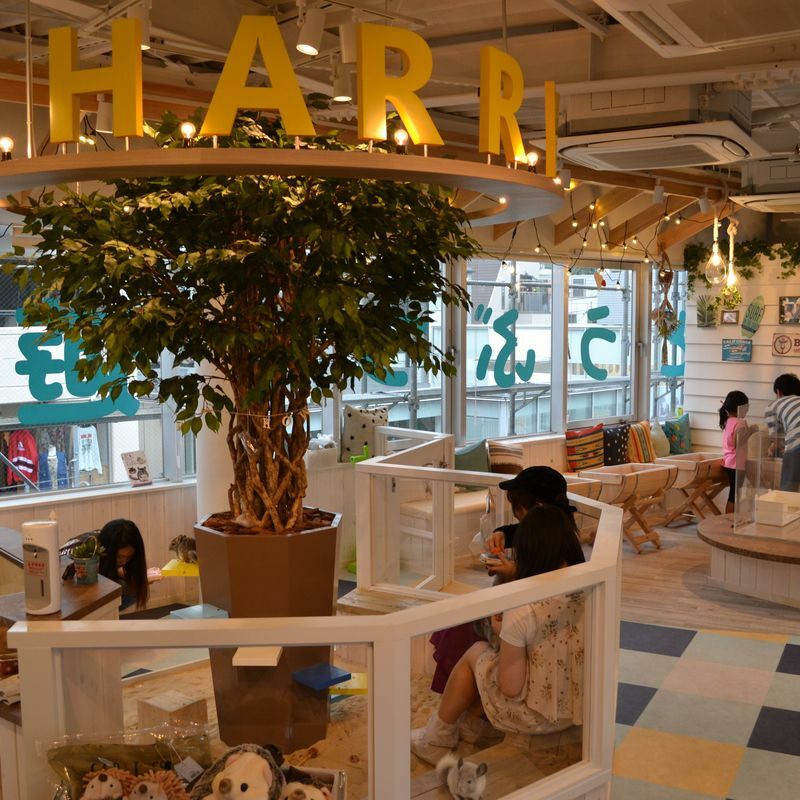 Just weeks after Japan reported its first sighting of a wild otter in 38 years, Harry Harajuku Terrace opened, offering customers a chance to touch or hold the furry creatures, along with several other animals, depending on the animals' mood. "After the sighting (of the otter) became news, many people became curious what an otter is like. There were also others who got interested after seeing them at aquariums," said cafe manager Mayu Saito, 30. In addition to the three young small-clawed otters, the cafe keeps 12 chinchillas and 50 hedgehogs. 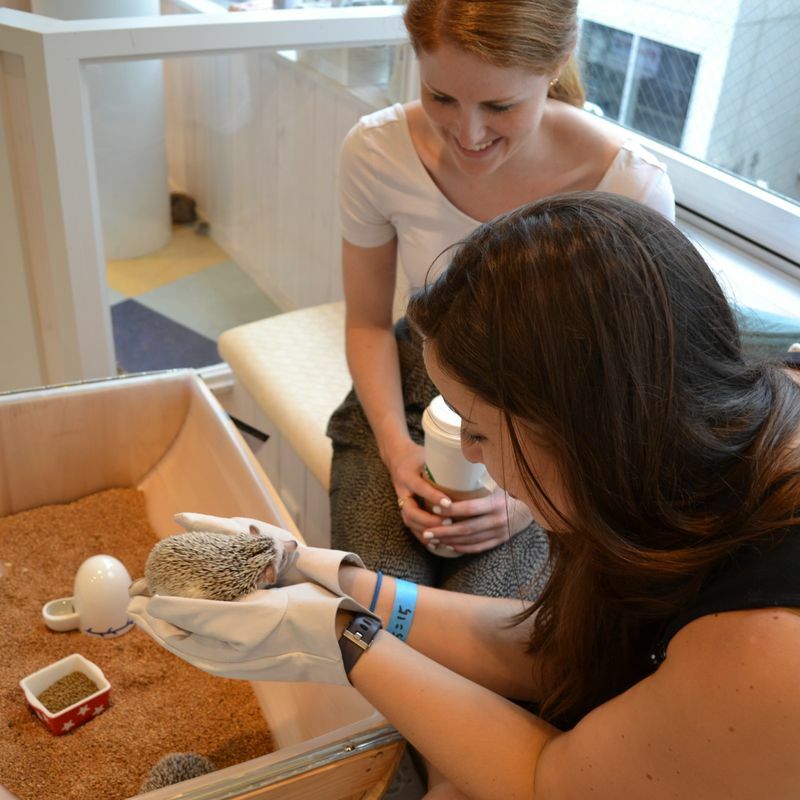 Visitors can interact with the animals after receiving instructions and some help from staff. Customers can purchase chinchillas and hedgehogs, but the otters are not for sale. Small-clawed otters are designated as vulnerable on the International Union for Conservation of Nature Red List and their trade across borders is restricted under the Convention on the International Trade of Endangered Species of Wild Fauna and Flora, or CITES. 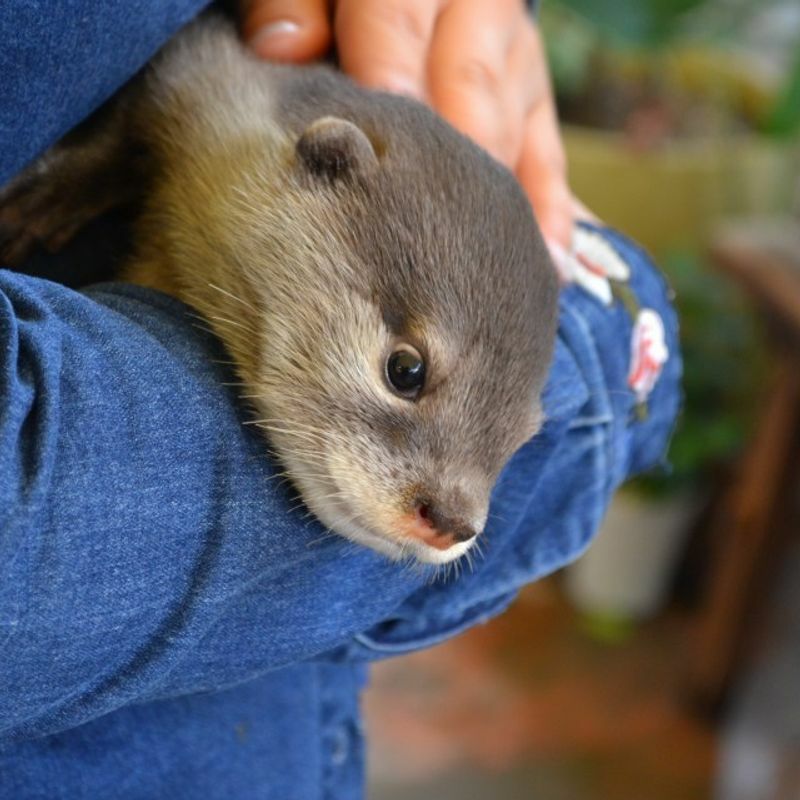 All the otters at the cafe have been legally bred and purchased in Japan, according to Saito. The cafe has been both popular among Japanese and foreigners, Saito said, noting half of the customers are from overseas. "We didn't expect this many foreign people would take interest in touching otters. I guess otters have a universal appeal," Saito said. There are one male and two female otters at the cafe. As they can get excited and bite people, cafe staff will check their mood and assist customers in holding or touching the animal. 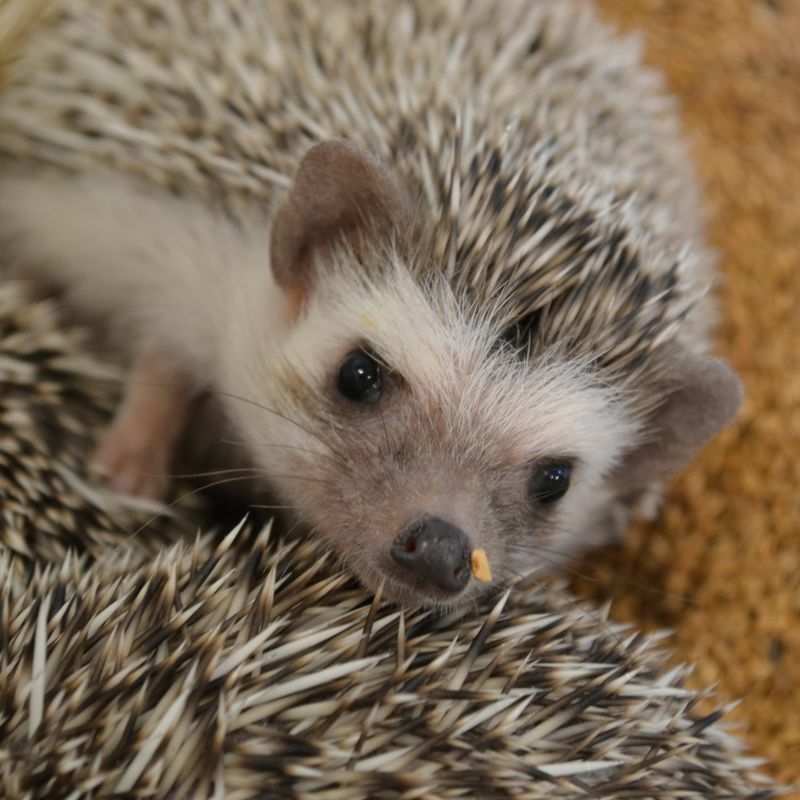 Hedgehogs are popular among many customers, who can purchase them and take them home the same day. Chinchillas, the most popular animal at the cafe, need to take sand baths to maintain their fluffy fur, according to Saito. They are kept in a sandy area of the cafe. The cafe is open from 11 a.m. to 7 p.m. every day. Entrance is free for children under four and adults are charged 1,500 yen for a half hour visit. Customers are charged for animal snacks separately, although they are included for a reserved one-hour package.